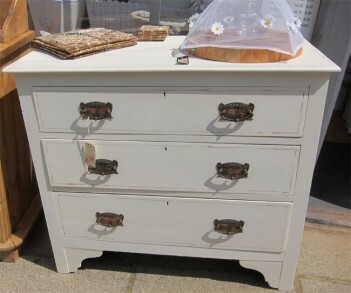 Edwardian Painted Hardwood Chest of Drawers. Painted in Farrow & Ball "Pointing" a nice added feature are the original handles which are lovely and then we've added detail with the painted lines. The drawers are quite clean inside and run very well.